Flying into Singapore I feel like I have reached an oasis. 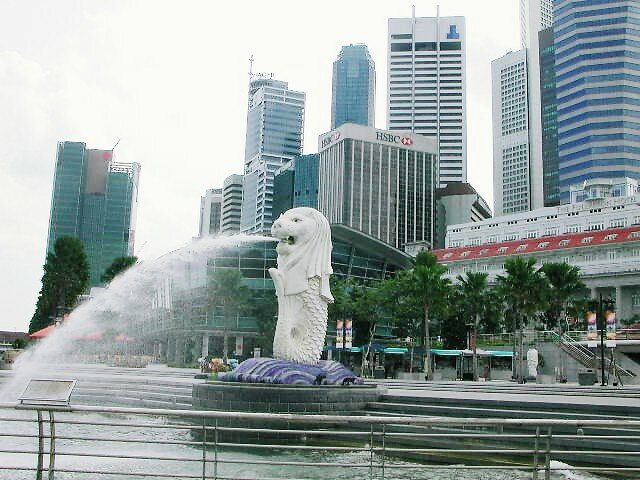 It is a haven created by Lee Kuan Yew for those who are suffering from travel fatigue picked up from other cities! Strolling through the clean streets of Singapore, and hearing voices speaking in the Chinese dialects of Hokkien and Mandarin, I thought I was almost home. Amongst these rather well behaved citizens, and walking into the underground which was squeaky clean, as wholesome looking youth in their crispy ironed shirts and jeans politely step out of my way, my Chinese heart smiled. This is some of the best of Confucianist teachings at work here manifested in the orderly State! 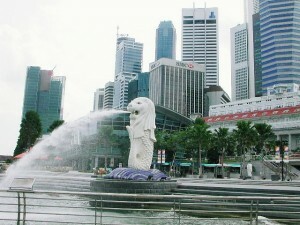 Singapore, a Chinese city. But what is Chinese in a city sprouting multi storeys buildings where everyone spoke English (and Mandarin and Hokkein and some even speak Malay) and hardly a Chinese dress is seen on the many women walking briskly by in Orchard Rd? I asked myself, a Malaysian born Chinese, who left for Australia the day television arrived in Singapore and the island was still part of Malaya (and Malaysia was just a plan), am I Chinese? A profound question of identity in the streets of Singapore. What ails me, I wondered. Perhaps it was once again the longing of home. I stood on a street with a distinctively British name – Waterloo St. There I see an old Chinese temple next to a Hindu temple and nearby a Church. Symbols of the Chineseness of Singapore – a blend of East and West, traditional and modern. Nothing is ‘pure’ in Singapore. English is Singlish. Its cuisine is a blend of Chinese, Malay and ‘Westernised’ (whatever that means and requires another discussion altogether). Singapore makes me think that there is no pure Chineseness either. Perhaps I needed to look further and deeper. I turned into a side street off Orchard Rd and from the corner of my eyes, I saw a young boy with his grandmother. He was about to hand over a bowl of noodles to her. He cups it in both hands, and presents to her, in a gesture so Confucianistic that I smiled in recognition. My mind had gone back to a childhood full of admonitions from adults – use both hands to give things to elders as a sign of honouring those older than ourselves. But then is Confucianism Chinese? Aren’t Japanese, Koreans and Vietnamese Confucianist but not Chinese? A good question for a budding PhD student. But an editorial is no place to explore this question in depth. Time to move on. The next city was Hong Kong. New airport, similar to the famous Changi airport in Singapore. 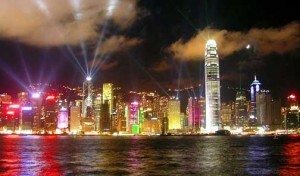 Hong Kong was my first Chinese city in 1974 and back then, I felt it was Chinese. In the streets were hawkers, shouting at the top of their voices in Cantonese, yelling and spitting. Hong Kong displayed typical horrid Chinese behaviour, I had thought then. My newly wed husband was in a state of culture shock and asked innocently: Why were the people in Hong Kong constantly quarrelling? Amused at my gweilo husband’s ignorance about the Cantonese way of speaking, I had to enlighten him that that was the way they usually talked to each other. I didn’t realise then that I was stereotyping. Since then I have seen Europeans spitting in the streets in cities of Europe, I have heard the loud voices of German tourists and the drunks all over Australia behaving like Chinese in Hong Kong. My own stereotype of the Chinese in Hong Kong back then misled me into thinking the loudness and vulgarity of street vendors to be typically Chinese. Years later, when the lenses of ethnocentrism were removed by a more educated knowledge of the Cantonese of Hong Kong, I returned to the question of what is Chinese about Hong Kong. In the brisk unsmiling unfriendliness, typical of those who dwell in big cities like New York and Sydney, the Hong Kong Chinese in the central business district were rushing through and had no time to answer questions from lost tourists. They were not rude, just hurrying. Yet in this city, I spied acts so profoundly Chinese that again I had to smile. A young man in a restaurant, picked up food in his chopsticks and put it in his girlfriend’s bowl. An ancient gesture of Chinese courtship, so rarely seen these days, as the Chinese youth eat with Western utensils, or with their hands in MacDonalds. Confucianism has taught that no emotions must be displayed yet in that gesture of feeding one’s beloved, an honour bestowed by the host upon the guest, man onto woman, older onto younger, our Chineseness rears its ancient head in a thoroughly modern city like Hong Kong. Ah, time stood still for a moment. But only a moment for it was time to fly to Beijing. Beiijng airport. New and welcoming. I could not believe it. My last trip here was in 1994. My sister and I climbed into a taxi and was immediately charged double the price. Nothing Chinese about that. All taxi drivers do that if they can get away with it. In Lima, or Madrid, the same thing happened. As we drove through the streets of Beijing, I received yet another shock. Thousands of cars, bumper to bumper. My mind flew back to 1978, my very first visit to Beijing. Back then, I could count the number of cars on the street with one hand. 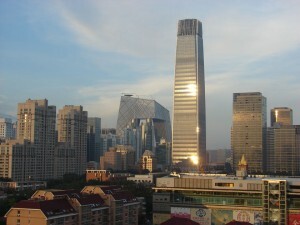 What is Chinese about Beijing? The people? The language they speak – putong hua? No. I checked into a modern hotel and at once, I could be anywhere in Singapore or Hong Kong. All these business hotels and airports look alike, they are designed to be the same. I wandered through the hutongs, the back lanes of Beijing. I saw the old China, the poverty, the dank dirty crowded space that all poor people live in. The universality of the poor, yes, but not unique to Chinese. I have seen such poverty in Eastern Europe and Latin America. Even in London. The city of Beijing is alive with multi storey buildings and traffic jams yet its streets are cleaned by human sweepers. These human beings were poetry in motion, observed from my hotel room on the 8th floor. Sweeping the streets of Beijing clean. Just as they did in 1974 in their blue tunics. Today they are doing the same thing but their clothes are strapped by neon orange, a safety measure borrowed from the west. So I meandered through more streets. Autumn in Beijing is beautiful, crisp air, blue sky and the sun shining after a day of pouring rain. Tiananmen Square was full of red flags and people celebrating National Day. Here in the packed millions, I sensed a Chineseness unlike that of Singapore and Hong Kong. It was pride, a pulsating volcano of Chinese nationalism absent in Hong Kong and Singapore. The might of the Chinese dragon. It has awakened. It is more than nationalism. It is more than “we love China and China is home” as their national anthem goes. No. It is something that it is totally subjective, a feeling. A feeling that speaks silently – we are Chinese no matter where we are. It is not to do with the food we eat, not in the language or dialect we speak. It is a feeling that we are different. It is this knowingness – that we are Chinese. A thought instilled in us by our parents, not verbally, but in many acts of Chineseness, as in the two hands of the grandson, the gesture of the courting lover – and many more acts, unsung, unseen, but completely Chinese in spirit. Leaving Beijing for Australia, as I entered the plane and settled into my seat, I wondered: where is home for a gypsy like me? The theme song of Qantas emerged as if from the depths of nowhere – “…. no matter how far I roam…. I still call Australia home…..”. Home is this ancient land that the Aboriginal people have bequeathed to us, to me, and I am so lucky to be here – blue skies, white sands and clean air. The plane takes off and suddenly the sea of Brighton beckons, my bike is waiting for me in the garage and my friends and my Melbourne family …. My heart sings – Home is where the heart is. My heart is with friends and family and wherever they are, there I find ‘home’. I am truly a gypsy now, back to my hakka roots (the hakkas are the gypsies of China, the ke jia ren). As a gypsy, I have no home, yet at home everywhere! I will be home for Christmas, in time to wish all of you a Merry Christmas and Happy New Year! out and tell you I really enjoy reading your blog posts. Hiya i am here for the first time. I came across this blog and I find it really helpful; it helped me out lots in understanding chinese culture. I see a lot of interesting content on your website. Thank you!